Will Supreme Court Repeat Disaster? In order to avoid a Joint Parliamentary Committee (JPC) probe of the 2G Spectrum scam the government has proposed a CBI probe monitored by the Supreme Court. It passes comprehension how the government can be brazen enough to even make this outlandish proposal. The Supreme Court (SC) should firmly reject the proposal even before the opposition responds to it. The scandalous fiasco enacted during the Jain Hawala case remains too fresh in memory. It left perhaps the worst blot on the reputation of the Supreme Court which monitored the CBI’s investigation of that case. Just recall a few bald facts that emerged from the handling of that case. The investigative agencies reported the progress of the probe at each step to the Supreme Court in hearings held in camera. After Court’s approval the cases were registered and prosecution launched. But the Delhi High Court rubbished the case for insufficient evidence to justify prosecution. So who was right, the Supreme Court or the High Court? The Supreme Court meekly accepted the High Court’s snub! The Supreme Court was totally ill equipped to deal with the chicanery of the CBI’s investigative officers. It foolishly allowed the agency to introduce an event extraneous to the case as evidence. A junior officer without clearance from the CBI Director introduced a recorded confession of the accused, SC Jain, that he had also paid funds to then Prime Minister Narasimha Rao. This payment may have merited a separate case but was in no way part of the Hawala case because Rao’s name had not figured anywhere in the Jain Hawala diaries which provided the basis of the case. Without executive authority over the bureaucracy how can the Supreme Court counter the machinations of officials whose career prospects are determined by politicians? After the PM’s name was allowed by the Supreme Court to be falsely included in the Jain Hawala case there naturally developed a vested interest in the government to close the investigation. The Jain Hawala case was a TADA case connected to the funding of militants but was illegally converted into a corruption case to protect the politicians who along with the militants were recipients of illegal money from the same foreign sources. The Supreme Court was helpless in dealing with this sleight of hand by the prosecution. The entire probe could be subverted by various acts of commission and omission by officials investigating the case. At the end of it all the outcome was so farcical and comical that one did not know whether to laugh or to cry. Not a single politician among the over forty accused was convicted. But the two Kashmiri separatists who received the Hawala money from the same sources as the politicians were convicted although given surprisingly mild sentences. The accused businessman who paid the money through these Hawala conduits, SC Jain, many years later was found guilty by the Enforcement Directorate and made to pay a hefty fine of Rs 35 crore. So, despite the failure of the Delhi High Court and the Supreme Court to find sufficient evidence, it becomes clear from these convictions and punishments that undoubtedly the crime was committed. But for politicians whose names figured in the diary, some of whom admitted on TV that they had indeed received the Hawala money, there was insufficient evidence to pursue prosecution! 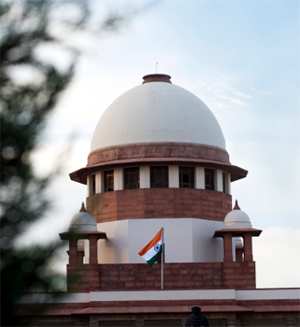 The final order of the Supreme Court quoted the Jain Hawala case to justify that the procedures governing the appointment and functioning of the Chief Vigilance Commissioner of the central government needed to be amended. Why? Had not the courts themselves ruled that there was insufficient evidence to proceed with the case? Why such a systemic change on the basis of something that never merited a single politician’s conviction? The Chief Justice of the Supreme Court and the Chief Justice of the Delhi High Court who presided over the case did well for themselves after retirement. During the tenure of a Home Minister who was a prominent accused in the Jain Hawala case one became the Chairman of the Human Rights Commission and the other became Chairman of the Minorities Commission. So much for judicial rectitude! There was also a defamation case against the Judges hearing the Jain Hawala case that was buried but not pursued despite most damaging allegations made against them. Ironically the former Chief Justice of India who presided over the case opined many years later that the Jain Hawala case should be reopened. One does hope that he did not imply that the second time around the Supreme Court would again be required to monitor the investigation! Currently he is the doyen among legal eagles passing judgment on his peers regarding judicial rectitude. In the light of all this one fervently hopes that Chief Justice Kapadia will firmly put his foot down and not again make a laughing stock of the Supreme Court. He should not fall into the trap of lending the Supreme Court’s name to an endorsement of what may well end up as another CBI cover up.